Our company is seeking a dynamic Professional Banquet Sales Manager who possesses a true passion for the hospitality industry and brings it to work with them daily! If this describes your style as a Banquet Sales Manager, Apply Today for our location in Lahaska, Pennsylvania we would love to have the opportunity to meet you! Our restaurant serves the best version of American Themed Comfort Food that you will ever have! Our delicious dishes are a local favorite. We use only fresh ingredients, to ensure the quality of each and every dish. Not only do we serve lunch and dinner, but our Sunday brunch is very popular! Our restaurant has a beautiful Colonial setting in a populated area. 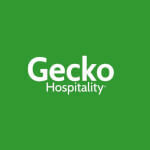 We are currently looking for more friendly culinary and hospitality professionals to add to the success of our company. Take advantage of this amazing career opportunity as a Banquet Sales Manager! Apply Now - Banquet Sales Manager located in Lahaska, Pennsylvania!